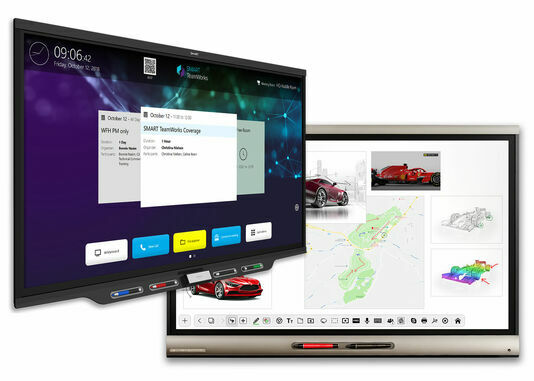 SMART TeamWorks is compatible with Windows 10 and can be loaded on the Intel® Compute Card available with SMART Board 7000 Pro and 6000 Pro series displays for seamless collaboration. The whiteboard lets teams interact with all sorts of dynamic content – images, PDFs, Microsoft Office® files, websites and videos. With SMART TeamWorks Connected and Server editions, remote team members can add notes and files to the connected whiteboard as easily as their colleagues in the room. Book a meeting through Microsoft® Exchange, then launch both Skype® and the connected whiteboard from the calendar display — saving you time.